The number of passengers using Dubai World Central (DWC), Dubai’s second international air hub, is on track to surpass one million this year. 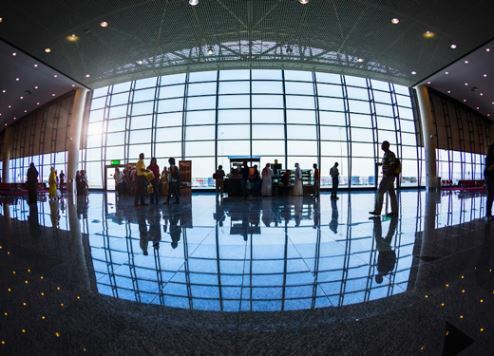 The forecast comes after operator Dubai Airports revealed passenger traffic surged an impressive 29.5 percent during the first quarter of 2017, with 333,780 passengers passing through the facility compared to 257,813 in the same period in 2016. “DWC is starting to make its mark as an emerging regional hub,” said Dubai Airports CEO Paul Griffiths. The top five destinations served by DWC in terms of passenger numbers during the first three months of the year were Doha, Moscow, Kathmandu, Amman and Budapest. Air freight volumes at DWC increased 6.5 percent in Q1, 2017, with 211,144 tonnes being handled compared to 198,295 tonnes during the same period last year. Since opening its cargo operations in June 2010, DWC has shot up the league table to become the 20th busiest airport globally for international air freight volumes. DWC is currently served by 18 passenger carriers, which operate an average of 103 flights weekly to 24 international destinations. The mega hub in the making is also home to 42 scheduled cargo operators that fly to as many as 108 destinations around the world. “The expansion of the existing passenger terminal building is well underway and will boost capacity at DWC to 26 million passengers by next year,” said Griffiths.